Located just one block from the shore and 1.8 miles from the Carolina Opry Theater, the Horizon at 77th hotel offers casual accommodations for all traveler types. Amenities include free wireless Internet access, indoor and outdoor pools, a lazy river, whirlpool spas, a rooftop sundeck, picnic areas, an exercise room, flexible meeting space, a guest laundry facility, and more. Flat screen TVs & full kitchens. 1.8 miles from the Carolina Opry Theater. 6.7 miles from Family Kingdom Amusement Park. 1 block from the beach. Minimum check-in age is 23. 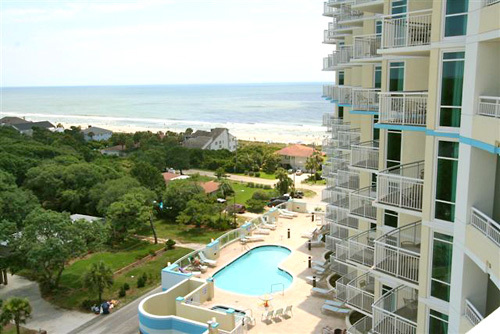 Escape to the Horizon at 77th – a tranquil resort nestled amidst the soft sands of Myrtle Beach. Peaceful, affordable and always family friendly, we combine the comforts of home with the convenience of a fully equipped condominium. Avoid the congestion found at other spots along the Grand Strand: the Horizon at 77th rests within an upscale neighborhood, where guests will fall asleep listening to the gentle surf instead of the drone of city traffic. 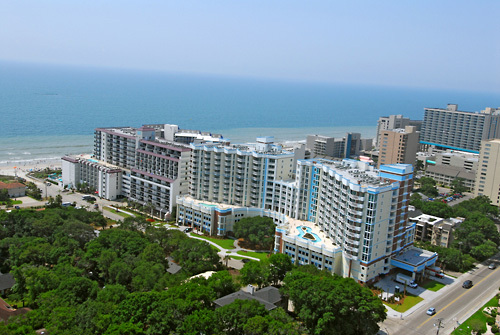 Our modern condos offer stunning ocean views and giant windows that flood the rooms with sunlight. Float along the lazy river or lounge on the sundeck and enjoy the warm rays of the South Carolina sun – just a few of the amenities that await guests at our resort. A hot tub, indoor and outdoor pools and a modern fitness center are also located right at the resort. 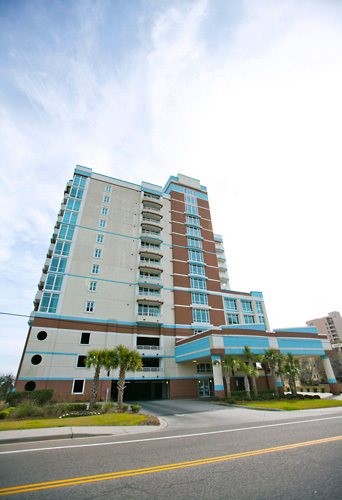 Use the Horizon at 77th as your home base for exploring the best attractions in South Carolina. Amusement parks, museums and some of the best shopping in the state are all just moments from the hotel. Get the clubs ready: we’re located a short drive from dozens of world-class golf courses. 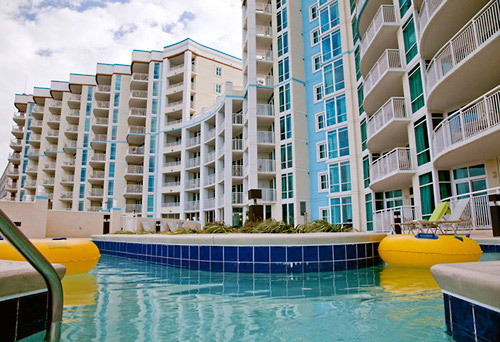 Visit the Horizon at 77th and discover how affordable a luxury family beach vacation can be. We guarantee your first stay won’t be your last. The 24 Hour Front Desk is located next door at the Grande Shores Ocean Resort (201 77th Ave N). -A resort fee of 16.58% of room total is collected at Check-In. -Guests must be at least 23 years of age to check in without a parent or legal guardian present. How many rooms are available at Horizon at 77th? There are 143 rooms total. Are units located in one main building? How many floors is the hotel? Guests can dine at The Shoreline Café, located next door at Horizon’s sister resort – Grande Shores. Breakfast, lunch and dinner is served. Is there a minimum age required for check-in? Guests must be 23 years of age to check-in. Are there any resort fees at the hotel? A resort fee of 16.11% of room total is collected at check-in. Does the hotel charge for cribs, rollaways, microwaves, fridges? There is no charge for cribs and all units have microwaves and fridges provided. Roll-a-way beds are not available. Free garage parking is available. Yes, the front desk is open 24 hours. All guests will check in at the Grande Shores front desk.